Life transitions are full of change, responsibilities, and often confusion as you navigate a new routine or chapter of life. Since humans instinctively resist change, you may feel discouraged or overwhelmed… but don’t fear. Using these 5 techniques with support from a trained life coach can make your transition seamless and feel like a balanced start. Setting unrealistic goals is an easy way to become overwhelmed and discouraged when you are searching for balance. A coach can teach you the SMART method to make sure your goals are Specific, Measurable, Action-Oriented, Realistic, and Time-Sensitive. Rather than attempting to simply “eat healthier” this week, your coach may ask you to prepare a smoothie for breakfast three times by Friday using ingredients you enjoy. Life transitions are a perfect chance for you to start fresh and decide what your new balance will look like. One tool your coach can walk you through is a guided visualization: getting clarity on what you’ll see, hear, think, and feel to tell you when you are truly “balanced”. What will your meals look like? How do you communicate with your spouse? What work or study hours are ideal for you? The art of meditation is a time tested method to finding peace, even in moments of considerable stress and unbalance. Experts like Jaime Izquierdo coach clients on how to practice this age-old technique, and offers a holistic approach with Reiki and Massage service as well, which helps the mind find that inner place of peace that will help bring on lasting change. Practicing balance, of course, does not come without failures along the way. To set yourself up for success and self growth, a coach may help you be proactive and reactive in a positive way by teaching you how to reframe negative moments. If you’re hard on yourself for missing workouts because you’re swamped in a new job, a coach would ask you to create a SMART goal that makes your fitness more attainable. If you feel lonely in a new school, your coach might have you brainstorm clubs or sports you can thrive in to find natural friendships. A powerful technique for finding balance is batching time: focusing on ONE task at a time before moving onto the next. Simple, yet effective. For new moms who desperately need to sleep, your coach might brainstorm the ideal morning routine with you to be most productive in the least amount of time. For new professionals needing exercise, your coach may check in on you on a late work night to make sure you’re taking calls from your home gym treadmill. Rather than attempt balance in ALL areas of life in your new routine, your coach may ask you to pick the three areas most important to you and set one SMART goal for each. For example, a newlywed might choose work, relationship, and healthy eating. A new single father might choose family time, mental health, and work. Focusing on your top priorities during a life transition keeps you focused and energized as you grow your new habits. Remember, when a student learns how to become a life coach, part of the curriculum is transition coaching. Coaches are specially trained to handle this kind of situation, so don’t be afraid to seek their guidance. 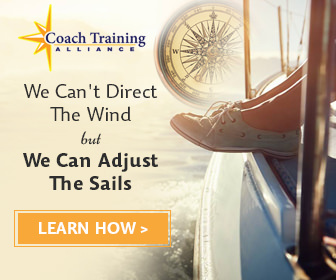 Coach training programs like the one offered at CAM will contain transition coaching as part of their core curriculum. Change doesn’t have to be hard. You may simply need some techniques to feel in control and positive about your new routine. 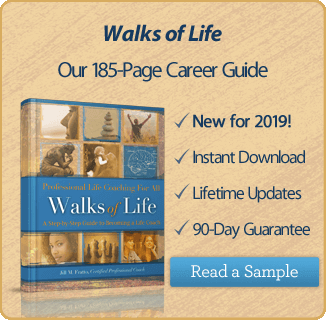 If you can implement these tools with support from your coach , you’re well on your way to a balanced and positive transition into your next chapter of life. Previous post: Who Are The Best Coaches In The World?